Did you get the memo about embroidery? This season it's cooler to cross-stitch (or at least purchase someone else's handiwork) than to be the newest member in Gigi and Kendall's gang. Embroidery can be found across denim, handbags, knitwear, ankle boots... but our craftwork love-in first began over a year ago with the traditional Ukranian folk dresses of Vita Kin—a label which started out as an Instagram phenomenon picked up as special one-off orders by style insiders for their holidays and those hot days of September's fashion week schedule. Now the label is stocked at the likes of Net-A-Porter.com and MatchesFashion.com, but it would appear our appetite for genuinely folkloric lantern-sleeved dresses, kaftans and blouses to wear in a city is not yet sated. Cue Yuliya Magdych: a newly signed brand in store at Selfridges and a fellow Ukranian who also just so happens to specialise in embroidery from the homeland. 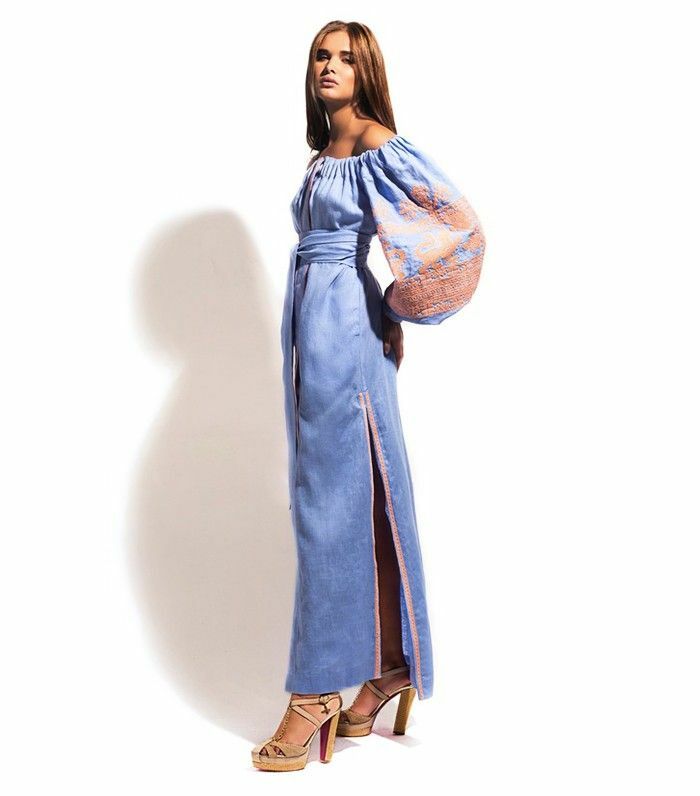 Already a firm favourite amongst the chic crowds of Ukraine, Yuliya's collection is primary made of linen dresses in both classic and crazy colourways, plus velvet gowns and cheeky rompers. You are definitely going to see this all over social media once the Greek island-hopping vacations start in the summer… Or if Olivia Palermo jets back to St Barts. Scroll down to shop some of our favourite Yuliya Magdych pieces.